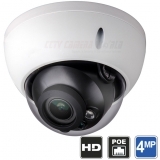 Every security camera has digital zoom available when used with our security DVR recorders, and is actually useful in HD security cameras with resolutions of 1080P and higher. 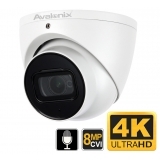 We say practically useful because when video of low resolution cameras is magnified, it gets pixilated and is of no use in discerning detail like faces or license plates at a distance. As concerns digital zoom, the rule of thumb is: the higher the resolution of the camera, the better the quality of the digital zoom. 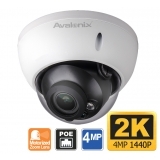 1080P, 3MP, 4MP, and 4K resolution security footage has varying degrees of digital zoom available, with 4K being the most detailed. 1) Manual Zoom - this type is also known as Varifocal Zoom, where the lens needs to be manually toggled at the camera to set the zoom. 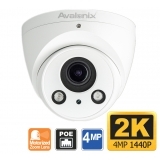 Please see the picture to the right for an example from our outdoor night vision cameras, where the manual zoom is set using a allen wrench to toggle "knobs" located on the underbody of the camera. 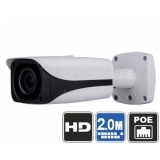 2) Motorized Zoom - also known as Motorized Varifocal Zoom, refers to the lens inside the camera being accompanied by a motor assembly that can be activated remotely from the DVR, NVR. 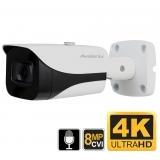 It is important to note that our video recorders allow our motorized zoom cameras to be controlled not only at the DVR or NVR, but also remotely from the computer software and mobile apps. So if your are viewing the cameras away from the physical location, you can still adjust the camera lens with the touch of a button. 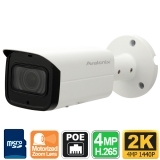 Digital Zoom - available in all cameras and only useful in cameras with resolution 1080P or higher. 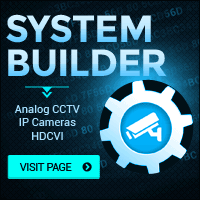 Allows for video to be magnified after it has been recorded and see more detail. Manual Zoom Cameras - zoom setting has to be already set at the time of the incident, and requires adjustments at the camera. 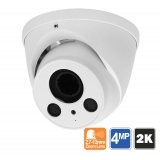 Motorized Zoom Cameras - zoom setting has to be already set at the time of the incident, and can be set remotely from the DVR, computer, or mobile apps. 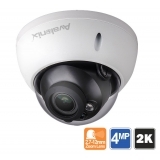 In either case, if you are looking for cameras that go a step further and have the added ability to pan and tilt, consider using Pan Tilt Zoom Cameras. 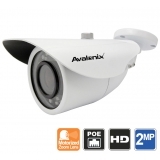 Above we list all of our fixed cameras that offer motorized optical zoom. 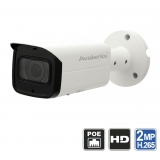 These include HDCVI cameras and IP cameras.